Mountain biking is an amazing way to explore new places. For many that means spending lots of time researching an area, pouring over endless maps and websites to piece together the perfect itinerary. But there is an easier way. Joining a guided mountain bike holiday is a great way to explore the best a new region has to offer the time-conscious mountain biker. One often overlooked advantage of an organised mountain bike trip is the transport. From the moment you arrive at the airport, to the moment you leave again, your transport requirements are taken care of. When you arrive with a bike in a box you have a special set of needs, and not one most hire car companies appreciate! And your needs change once your bike is built up and you’re using it day in, day out. How then do you transport it to the next top riding trail? With a small group tour, specialist transport ensures the safe arrival of both you and your precious bike with minimal fuss. And purpose-built bike trailers mean your bike can be transported simply and safely between trails. It’s one less thing to worry about. 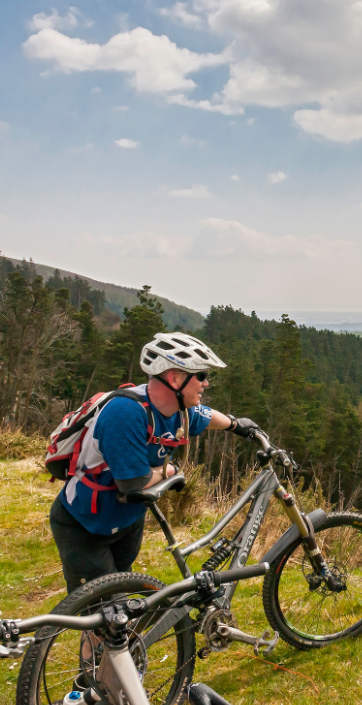 At Adventure Tours UK, our mountain bike guides are not only qualified to lead groups, but also to teach skills. To make sure you take away more than amazing memories, we include a ½ day skills session to help develop your abilities on a mountain bike. Plus our guides offer ongoing tuition and advice throughout your trip. So not only can you explore the best trails a region has to offer, you get the opportunity to enhance your skills on a bike too. You will become more confident on the trails, ride stuff you maybe previously wouldn’t have tried and feel more relaxed whilst doing it. You’ll go home having ridden amazing trails and you’ll be a better rider for it. Piecing together your own mountain bike tour can be extremely rewarding. But it’s definitely very time consuming. And with no guarantee the routes you choose will take in the best of what’s on offer, it’s a risky business too. Your time is precious, both before you travel and whilst on holiday. On a guided mountain bike holiday, you don’t have to spend time researching routes. And you’ll be safe in the knowledge that the routes planned will allow you to get the most out of the time you have on your precious break. One of the most obvious and valuable advantages of a guided mtb trip is the qualified local guide. They’re there to ensure you get the most out of your adventure. Mountain biking can allow you to explore the most remote wilderness an area has to offer. Doing this with the expert knowledge of a local guide means you can explore these areas without worry of getting lost or missing a turn. A knowledgeable, local guide will be able to tell you what’s coming up next on the trail, where the best place to take a photo is and the ‘cheeky’ sections of trail only the locals know. All safe in the knowledge that if something should go wrong, you will be in expert hands. Mountain biking is best enjoyed with other like-minded adventurers. Guided mtb holidays are an amazing opportunity to make lifelong friends who share your adventurous streak. You already have a shared interest in mountain biking and the outdoors, after all that’s why you booked your chosen trip. And now you get to discover a new wild place and share often life-changing experiences together. It’s how some of the most rewarding friendships are formed. 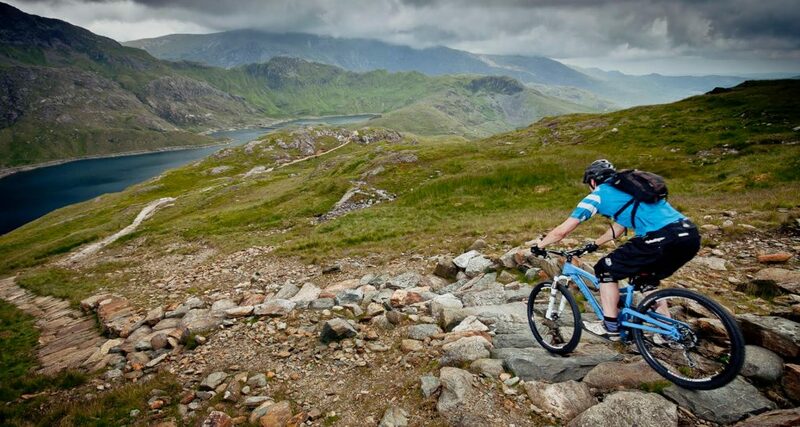 Our own guided mountain bike holiday is the perfect way to discover North Wales on two wheels. 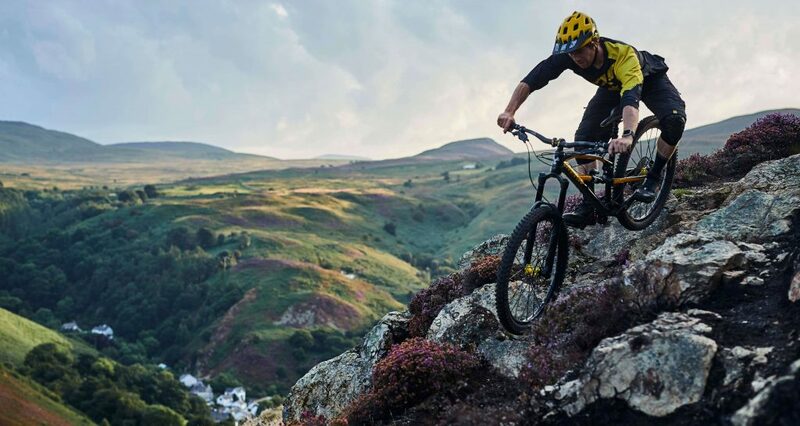 With your expert guide you’ll get to ride the secret rugged trails of Snowdonia and the UK’s spiritual home of mountain biking at Coed Y Brenin. Plus you’ll experience an epic descent down Snowdon, the highest mountain in England and Wales. All this and so much more across a full 5 days of epic mountain biking. Sound like your thing? Check out the full itinerary of our 7 day mtb adventure Short on time? There’s a 4 day option too – pack in maximum trails in minimum time! We can even create a tailormade mountain bike holiday for your own private group, just speak to a member of our Experience Team today. NEWER Veganuary: What’s it all about?